In this part we will mainly focus on data management on the platform using different roles and collaborative spaces using the intuitive and unified user interface. Product development requires multidisciplinary skillsets across different development phases and material types. These disciplines are divided into roles in the 3DExperience platform. A role features multiple applications (or tools) to work efficiently within that discipline. Different designer roles into a company. 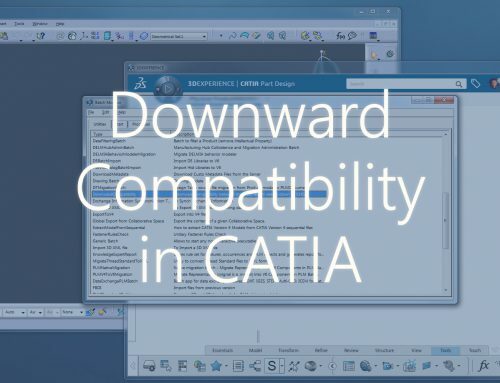 The seasoned CATIA user might recognize the Mechanical & Shape Designer’s Role (MEH for trigram) as it contains the applications for Part Design, Generative Shape Design, Assembly Design and Drafting. This role will enable an advanced mechanical designer to create shapes, design solid parts, assemble and animate mechanisms, generate drawings, insert knowledgeware (parameters, design table, catalog), apply materials, review designs and check interferences between parts. For example, this role can be expanded to include the Visual Experience Designer’s Role as an Add-on to include state of the art rendering applications. 3DExperience’s Compass with the different roles and apps. Add-ons and Roles can be shared within a team. Users select the roles they want to use when logging on the platform. Selection of the shareable roles. A Role can contains applications coming from different brands. For instance, the role Plastic Mechanical Designer allows you to Design plastic parts, Simulate the plastic injection filling, Manage and Export your data. 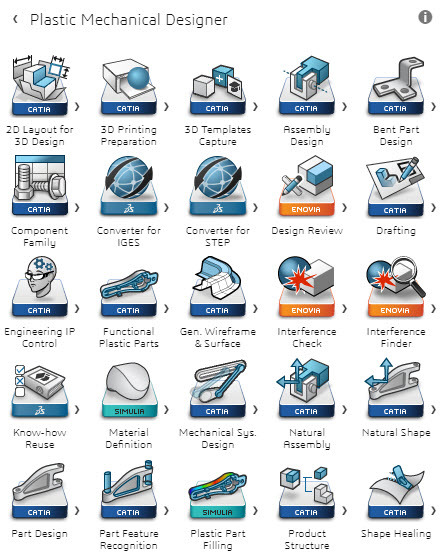 Plastic Mechanical Designer: 17 CATIA Apps, 2 SIMULIA Apps, 3 ENOVIA Apps and 3 Platform Apps. Mechanical & Shape Designer (MEHX): A powerful set of applications for the creation and management of sophisticated multi-disciplines & mechanical projects, including advanced surface design. Structural Analyst Engineer (DRDX): Uses finite element techniques to assess the structural integrity of products subject to a wide range of loading conditions to guide design decisions. Multi Axis Milling Programmer (NMXX): Program complex 5 axis machines rapidly and compliantly with company rules and standards. Each Project requires a Collaborative space. It acts like a “virtual sandbox” where all the data linked to the project is stored. Reader: Accesses all public data on the server. 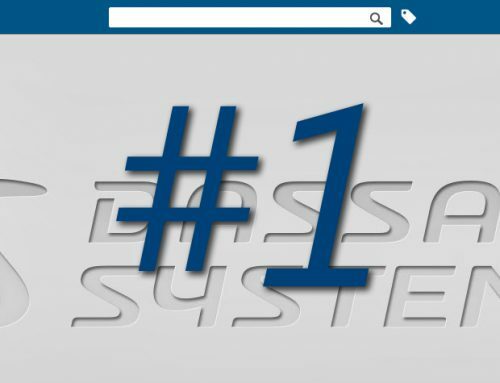 Author: Produces Products, Parts, Drawings, Mechanisms, BOM, Documents and Requirements. Changes also the design status (release, freeze/unfreeze, obsolete, etc.). Leader: Design like author and manages the resources such as Materials, Catalogs, Templates, Component families. Can import/export, duplicate the data and change the design status to “Released” or “Obsolete” and delete frozen data. 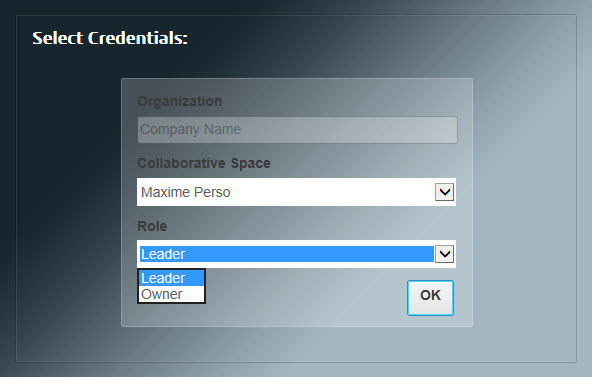 Owner: Administrates roles and people on the collaborative space. Can perform status modification, but cannot create content. Administrator: Manages the users, the roles repartition and the collaborative spaces. Can modify the drawing standards installed in the software. Contributor: Only evaluates the data, such as design review, validations, interference check in assembly, FEA simulation. Cannot modify the data. A user can be assigned to several roles. When the rich client is launched, the user can select a role and a collaborative space. Selection of the role when the rich client is launched. Users with access to a collaborative space can work simultaneously on the project – getting real-time updates on different parts across the assembly and even work together on specific parts. Limited access can be shared with a third-party user, such as a customer or manufacturer. The Contributor’s role is perfect for this situation. These users will be able to review and comment the data, but cannot modify it. Private “Content visible by members only”: accessible by all the members of the project. Protected “Content with maturity ‘released’ or ‘obsolete’ visible by all users”: everything is visible by the members of the collaborative space and the released/obsolete data are public. Public “Content visible by all users”: similar to a common space, where you can store material library or others. Design “Collaborative storage to manage any kind of content”: Store the products and the parts that will be manufactured. Standard “Collaborative storage to manage standard content”: store models that come CAD library or a standard catalog. Collaborative spaces enable interaction between all the actors in your company on a need-to-know basis regardless of where they are in the world. Nevertheless, if you prefer to work with only one collaborative space, you can organize the data with the use of Workspaces and Folders. A workspace is a collection of folders that contain documents and other information assembled to accomplish a particular business need. The workspace members can collaborate and share information by participating in Web meetings and discussions, and assigning tasks to each other. A folder is a set of related documents that concern a particular workspace. Folders can have subfolders within them and you can add subfolders within subfolders. Typically, the workspace creator adds folders and subfolders when a workspace is created and can add and remove folders and subfolders as needed. Workspaces and folders inside a collaborative space. A Workspace named Design contains several folders. Each folders represent a project. You can continue dividing the folders using subfolders. For instance you can create a project call “Yacht.2016” with a subfolder “Structure” containing the hull and ribs. A subfolder “Accommodation” containing all the rooms and the furniture. And a subfolder “Systems” containing the engine, HVAC, pipes, etc. A Workspace named Standard Components contains the standard parts spread into several folders. A folder “Screw” can have several screw catalogs with different chapters. For instance a catalog “Phillips” with the chapters M1, M2, M3, etc. A catalog “Torx” with chapters M1, M2, M3, etc. and so on. It is also possible to add more workspaces, for instance you can add one for catalog parts in which you import component from external catalog library (electric motor, lights, etc.). With this methodology you can handle big assembly, you structure your collaborative space, you facilitate the access of the data and you do not close the access between the different folders (a screw in a folder “A” can interact with a plate in a folder “B”). 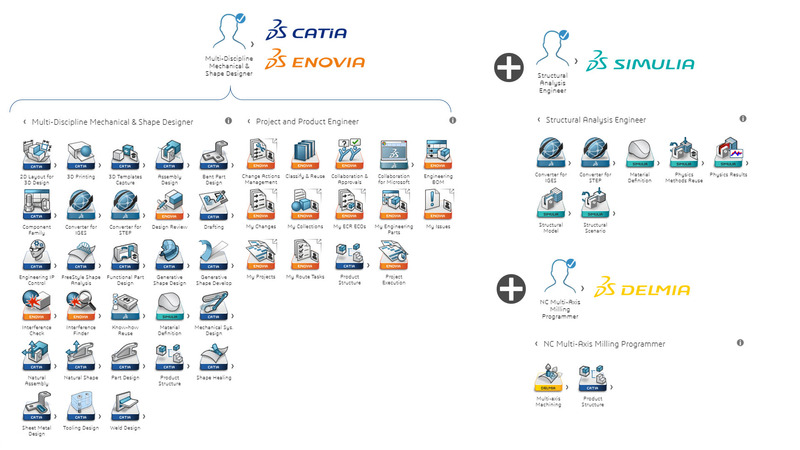 Compared to CATIA V5, the Platform introduces a better experience for the users. The interface is more intuitive, it is easier to find the features you need. It is easy to switch from the different processes: design to simulation to manufacturing, while maintaining the same user Interface. 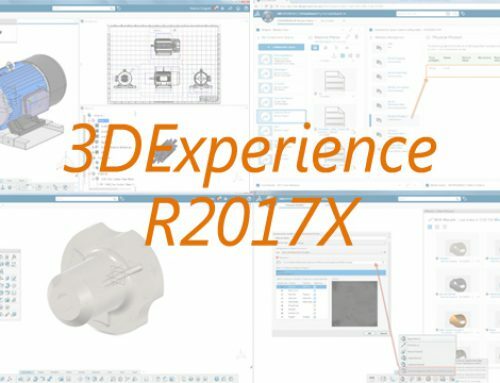 CATIA V5 versus CATIA 3DExperience. 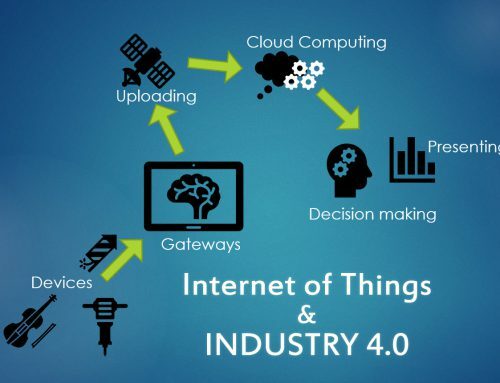 The interface is made to facilitate the transition between the different applications – CATIA (Design), SIMULIA (Simulation), DELMIA (Manufacture), ENOVIA (PLM) and others, keeping the same style and behavior. The interface is much clearer than in CATIA V5. The user interface is normally «fixed», it means that a user can switch from a computer to another and work with the same environment. But If you prefer, it is also possible to customize your own environment and reorganize your own toolbar (add/remove features). Design faster using the contextual toolbars! After selecting an element on the model, a toolbar automatically appears and proposes you the adequate features. For instance, select a corner and you will be able to directly add a chamfer or a fillet. The 3DExperience engine renders automatically material textures, shadows, the scene and the lights. Plus you can tick the antialiasing option that gives you a smoother visualization of your 3D model. It is much easier to communicate on your project capturing images and videos directly in the 3DExperience without a third-party software! Multi-Discipline platform: Find your role dedicated for you job! Extended PLM Platform: Collaborate while maintaining security on your data. Unified user interface: Keep the same user-interface switching from an application to another.